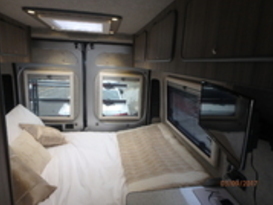 Bespoke two berth Campervan available for UK and European travel. Fully equipped for off grid wild camping, including solar and wifi. Alfred is the culmination of twenty years campervan experience rolled into one awesome vehicle. 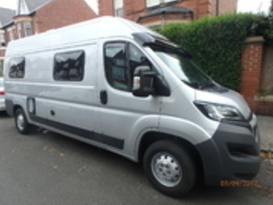 The base vehicle is a Peugeot Boxer LWB with built in satellite navigation, cruise control, air con, electric windows / mirrors and much more. 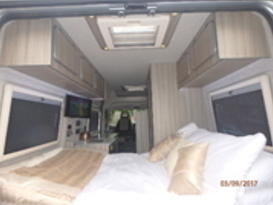 The accommodation comprises of a rear double bed that can fold down to sit four adults. 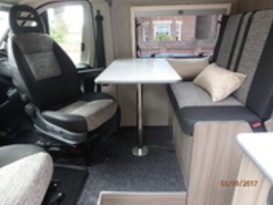 The cab seats swivel around to a table and bench seat, sitting four adults so you can leave the bed made up and still comfortably relax. 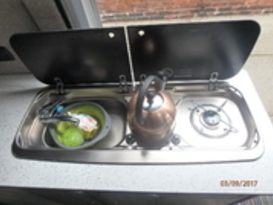 You have a gas hob and 3 way fridge - freezer. 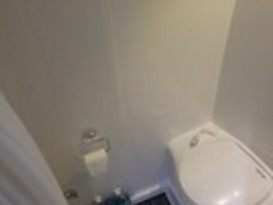 Plenty of hot water for the power shower and combined electric toilet. 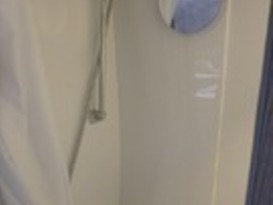 Thermostatically controlled blow air heating so you never get cold. 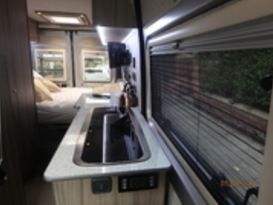 The vehicle has solar panels and a 4g wifi system; you can park up and still be powered up with internet connection. 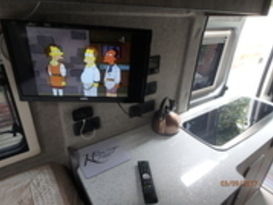 Television with free view, DVD and USB connectivity. Hire mid-week (collect Monday at 2pm and return by 11am Friday £330) you get an extra day! Calendar week is £660 mon / mon. 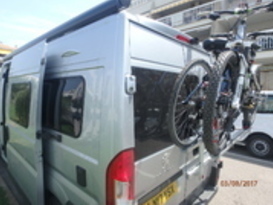 Please note as this owner has their own insurance they will contact the hirers of confirmed bookings for the following. We have strict eligibility criteria, dictated by our insurance provider to keep costs down. No one other than the drivers named in the proposal forms, may drive the hired vehicle. All named drivers must be over 25 yrs and under 75 yrs and have held a full/valid driving licence for at least two years. The licence must be clear of any endorsements, apart from up to six points for Speeding Offences. If there are any other current endorsements special conditions may apply. All licences required must be produced at vehicle collection; if this is a photo-card licence you must produce both the card and the counterpart licence. Persons with serious convictions within the last eleven years will not be permitted to drive the hire vehicles (including drink driving offences). Visitors from abroad (does not apply to EU Countries) are advised to obtain an International licence. It does not automatically disqualify you from driving if you do not meet the required criteria, but we shall need to refer you to our insurance company to check if they will offer insurance cover. 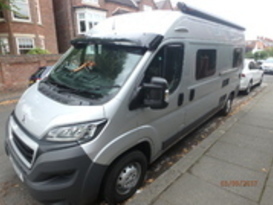 We do not allow our Camper Van at any Music festivals such as T In The Park, Glastonbury, Rock Ness etc, or Sports events Moto X etc, unless by prior arrangement.